CO's were on top of this and were stalking the boats ready to pounce on anyone holding fish in the nets even threatening some anglers with equipment and BOAT seizure. I don't see where the problem lies here. Apparently people were holding fish illegally fish so that that they might win a trophy? Since when are tournament fishermen above the laws? We have more than one CO in ontario?????? if you read the regs and abide by the implemented laws theres no issues. unfortunately the organizers did not , along with contestants. kudos to the mnr. Hats off to the Ministry for doing their job and enforcing our laws. Maybe next year the tournement organizers will get everyone setup with the correct licenses. A phone call to theMNR prior to the tourney, would have allowed the organizers to avoid this problem. So would they have been allowed to hold onto the fish to weigh them if they bought a sport licence?? Ive tried to check but I cant get the mnr link to work. it was not a weight tournie. the contestants held fish boatside till judge boat arrived. problem licensing, and size limits created the dilema. many sportsmen groups were involved in the issues at hand. the mnr were involved when they found out. thru angler outreach programs and group involvments the mnr are very accesable. . the musky fishery is priceless in southern ontario. it must be protected from mis-use., as the format that was presented. this issue is getting some bad press state side. is it just me or does anyone else find this whole thing pretty amusing? Come on, really, how can anyone run a tournament like that and not be in the know? If it's getting bad press state side, I hope that the negligent parties and the focus of the wrath!!! WHAT is it i used to hear when i was growing up.....Ignorance of the law is no excuse!!! Hey Pinch they would not be allowed to hold any Fish under 44" for a judge boat if they got a Sport licence. AS any fish under that size is consider illegal and must be released. Good on the MNR. If the PMTT wishes to exsist stay in the states and don't destory our fishery. I wonder how many fish have died during there tournaments??????? I think this misfire fits the words of Forrest Gump best "Stupid is as stupid does". How can anyone be so dense as to not check the local regs first. The whole idea was sort of stupid as with the limit being 0 it doesn't matter if its over 44" or not it should be released immediately, and with the sport license whats the limit....1? So you catch 1 fish, have it judged and go to the bar cause your done for the day. 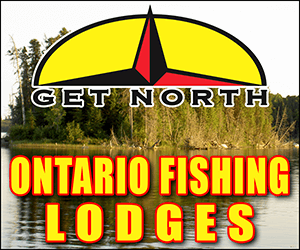 For every fisherman on the boat with a sport fishing licence you are allow to keep one and be in possission of one. 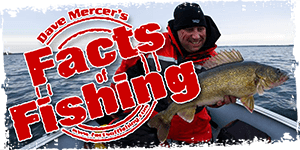 This causes alot of confusion if you caught a muskie and had it in the net or live well that was over 44" you would not be allowed to fish for another one until it was released. if you had it and caught another one you would be in violation of the MNR regs. and could be fined or have your boat seized. A better way of looking at this is simple you go out and fish today you catch a 44 inch Musky that you decided to keep. you go home put it in yoru freezer. Tomorrow you go out catch another one. YOu can't keep it because you are in possession of one back home in your freezer. "For every fisherman on the boat with a sport fishing licence you are allow to keep one and be in possission of one. This causes alot of confusion if you caught a muskie and had it in the net or live well that was over 44" you would not be allowed to fish for another one until it was released. if you had it and caught another one you would be in violation of the MNR regs. and could be fined or have your boat seized." Doesn't matter if it was kept and released, once its kept thats on your limit, doesn't matter if it was released later. Same thing with Bay of Quinte turney if your allowed one big fish you have to decide if this is the one or go for a bigger one.